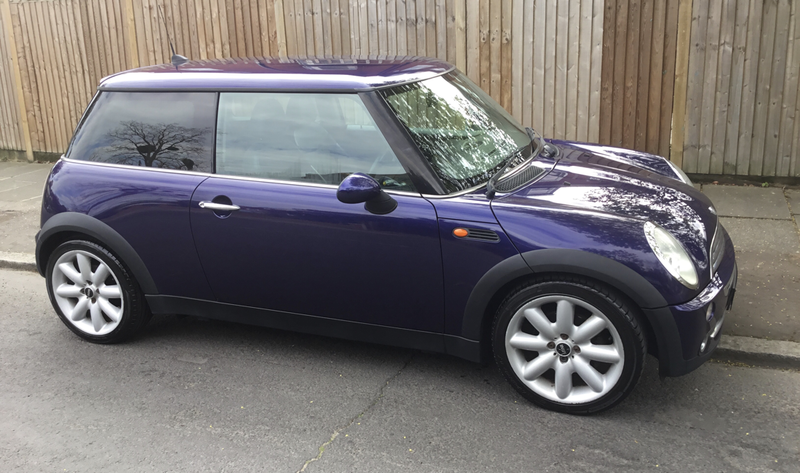 Our stock is always changing please have a look on our Mini's Due In section or contact us if you don't find what you are looking for. 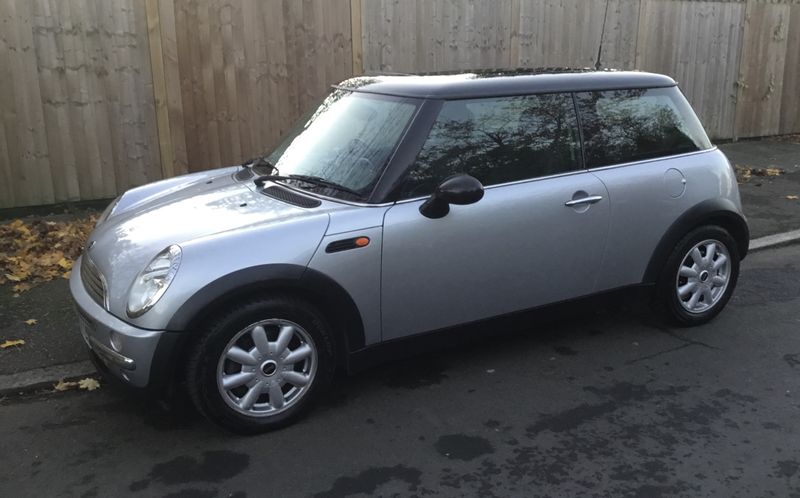 AUTOMATIC MINI ONE SUPER LOW MILEAGE. 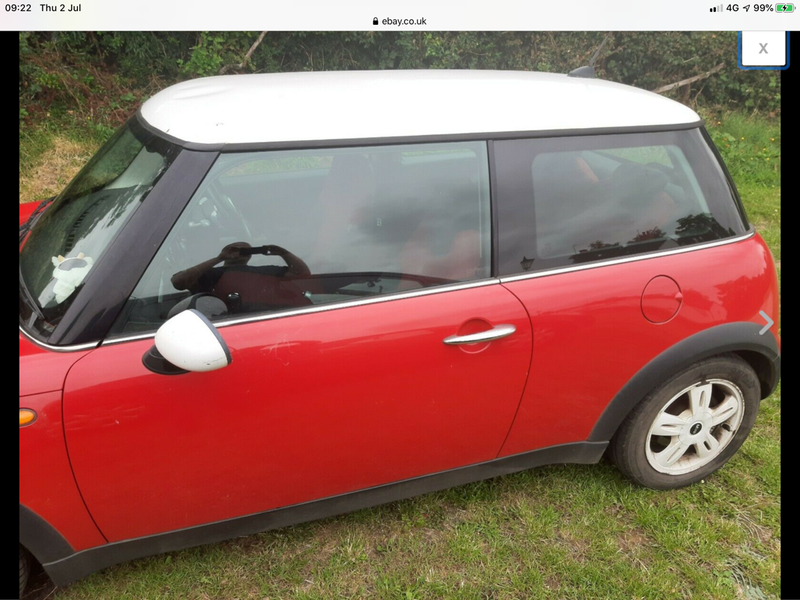 Electric Windows,Digital Air Conditioning Air Bags,Power Steering,Electric and Heated Door Mirrors,Anti Locking Brakes,Rear Head Restraints,Outside Temperature Gauge,Run Flat Tyre Indicator. 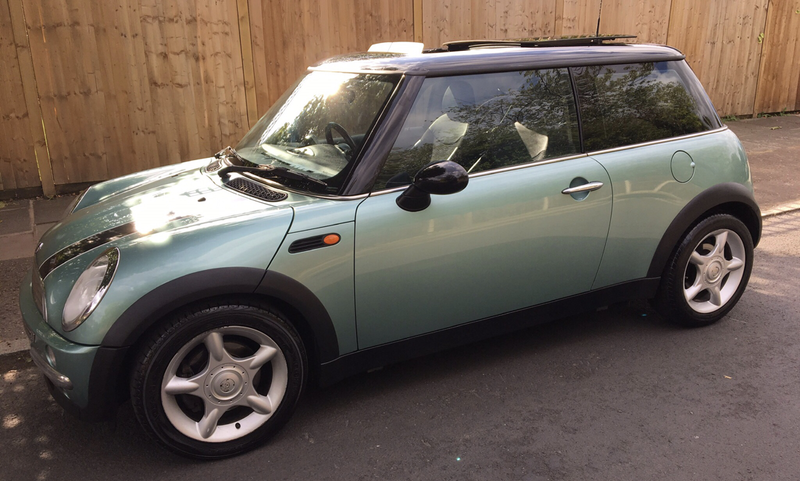 Service History: We Have The Last Fifteen Years Mot/Maintenance Records to Confirm The Very Low Mileage. 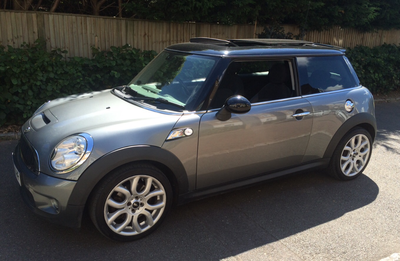 We are open 365 days.Please call us to arrange a viewing. 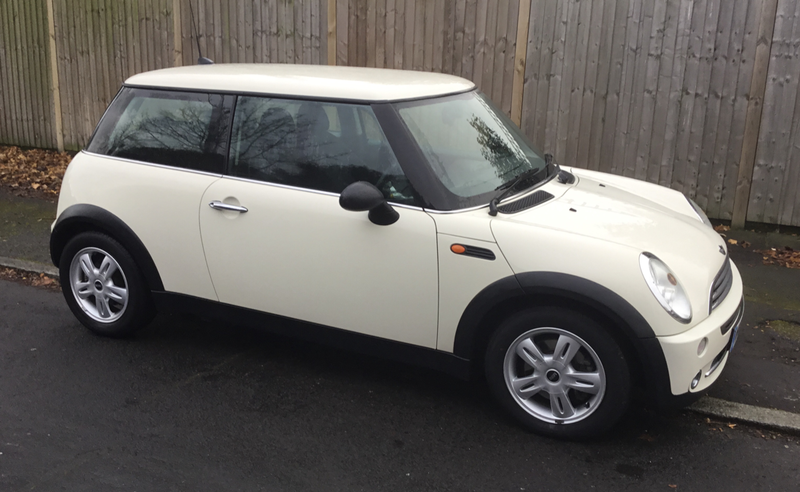 Service History: We Have The Last Fourteen Years Mot/Maintenance Records to Confirm The Low Mileage. 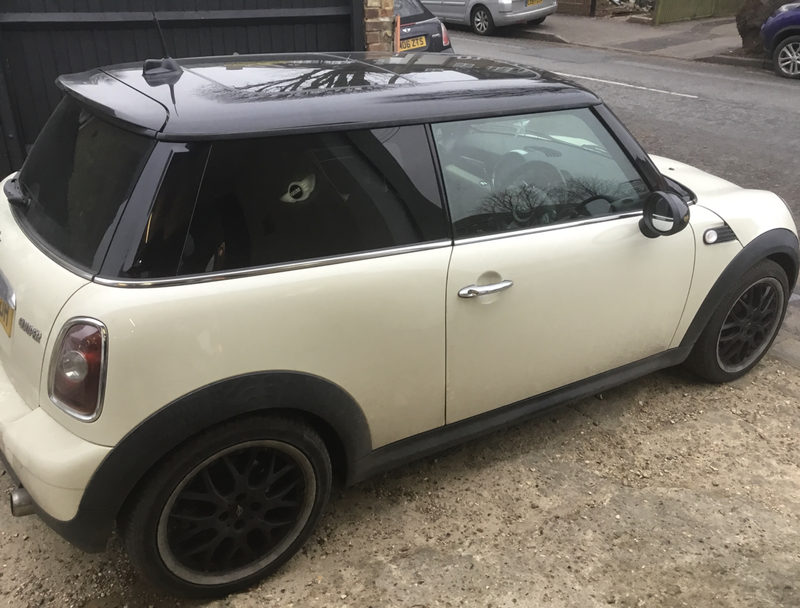 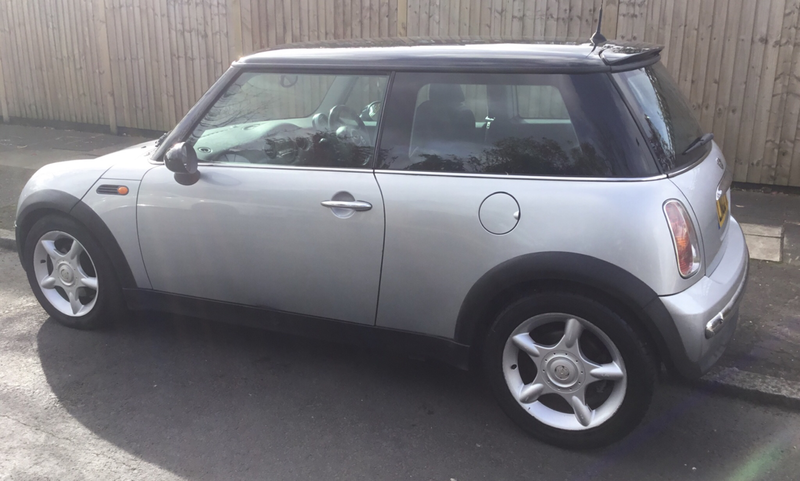 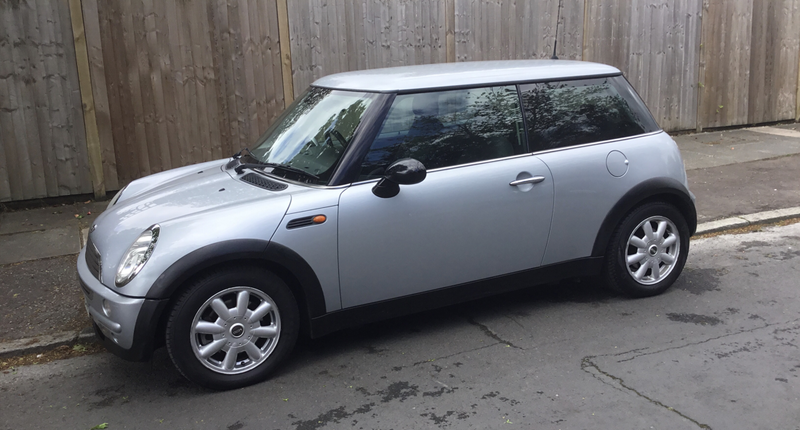 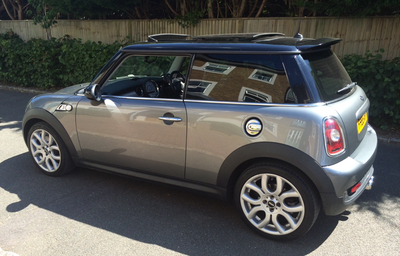 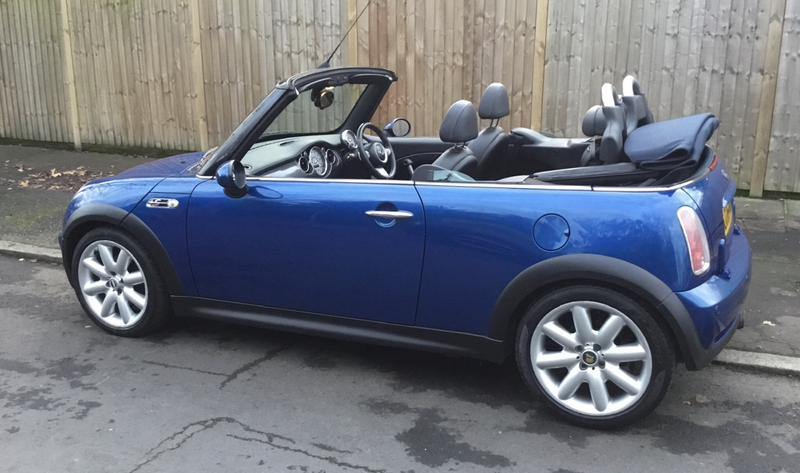 Electric and Heated Door Mirrors,Anti Locking Brakes,Rear Head Restraints, Central Locking Linked To The Mini Alarm and Immobiliser System With Full Window and Sunroof Closing, Outside Temperature Gauge,Run Flat Tyre Indicator. 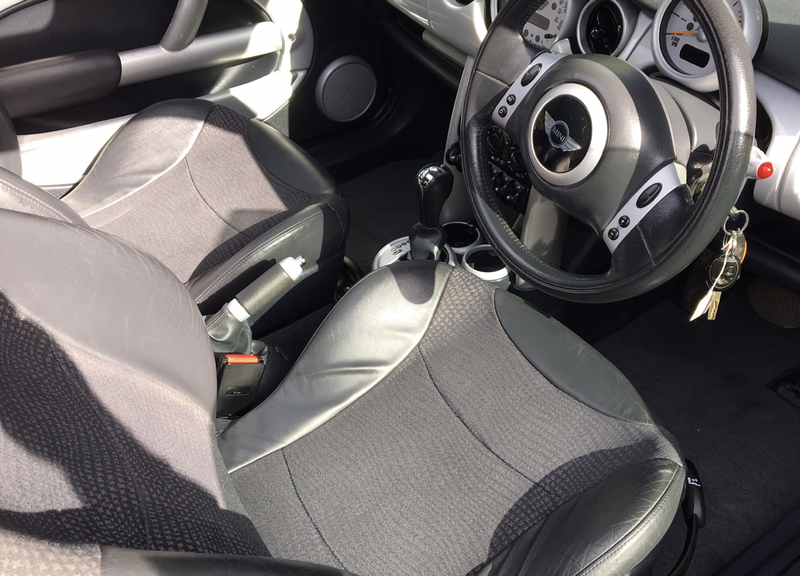 Service History:We Have The Last Fourteen Years Mot/Maintenance Records to Confirm The Mileage. 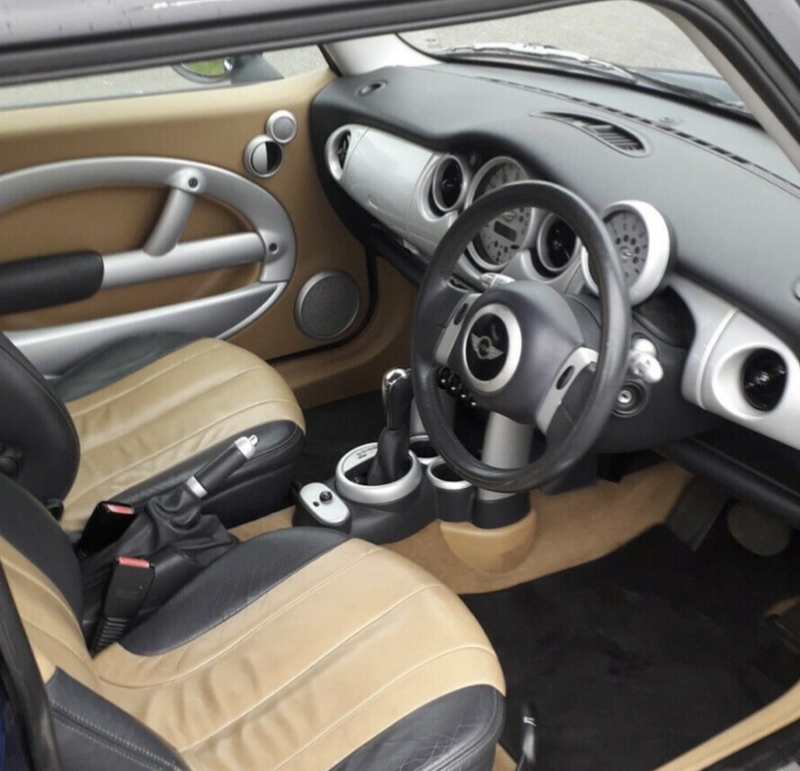 Specification:Automatic Transmission,Special Mini Cooper Alloy Wheels,Mini Stereo System With Remote Control,Electric Windows,Air Bags,Power Steering,Digital Air Conditioning,Leather Trim,Heated Front Screen. 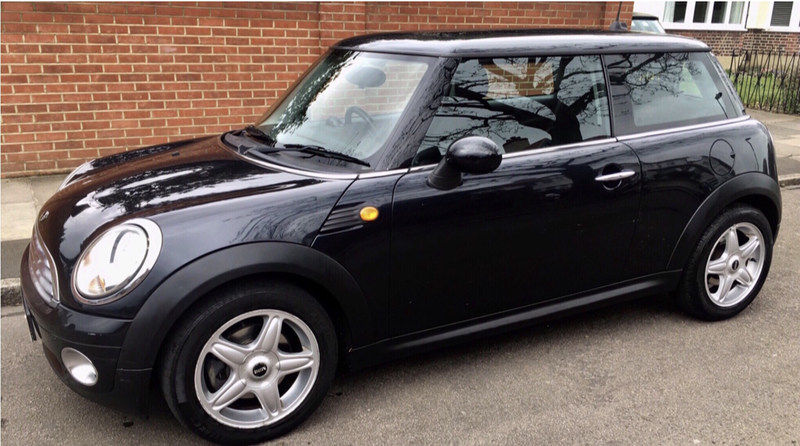 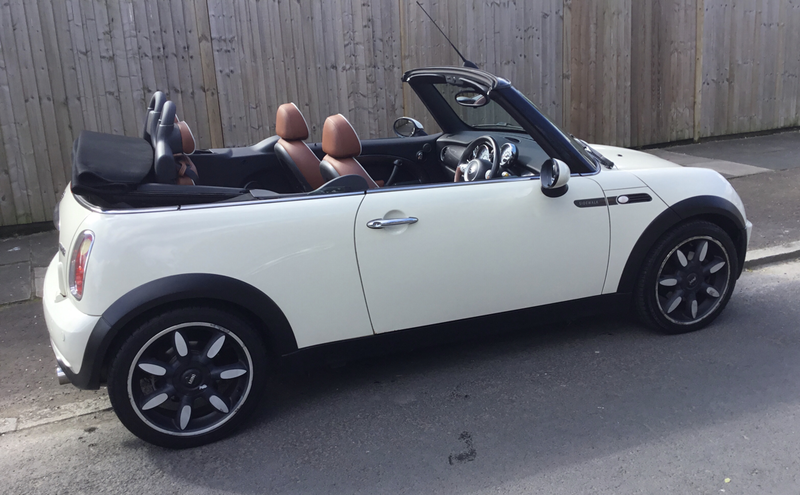 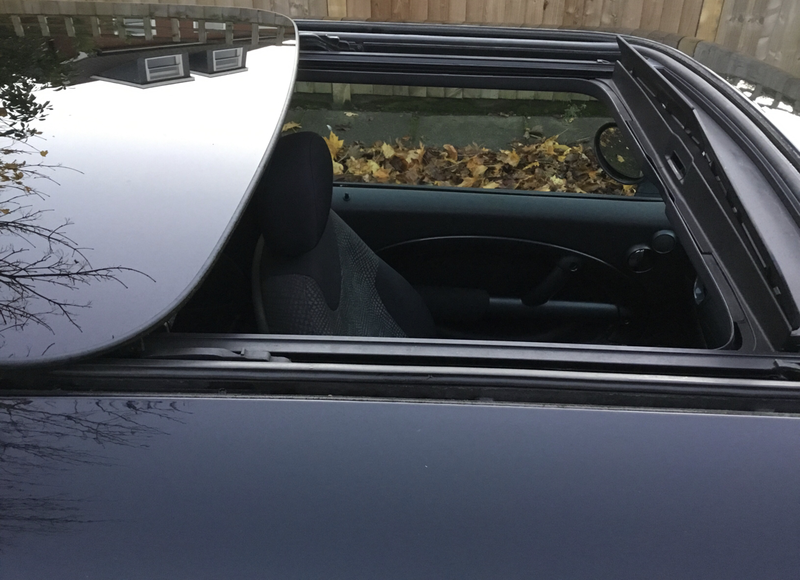 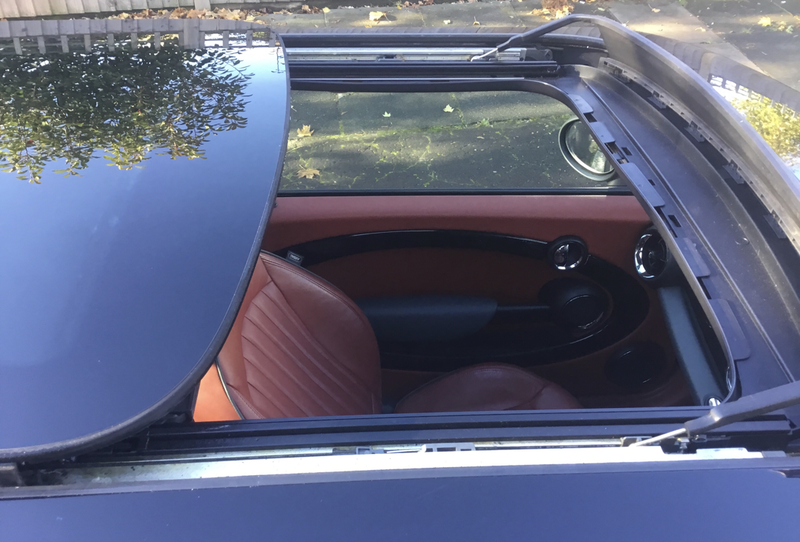 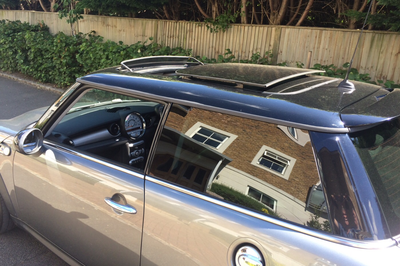 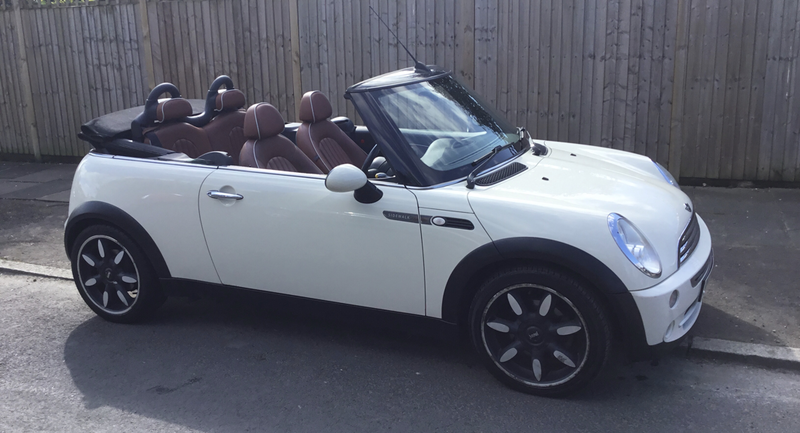 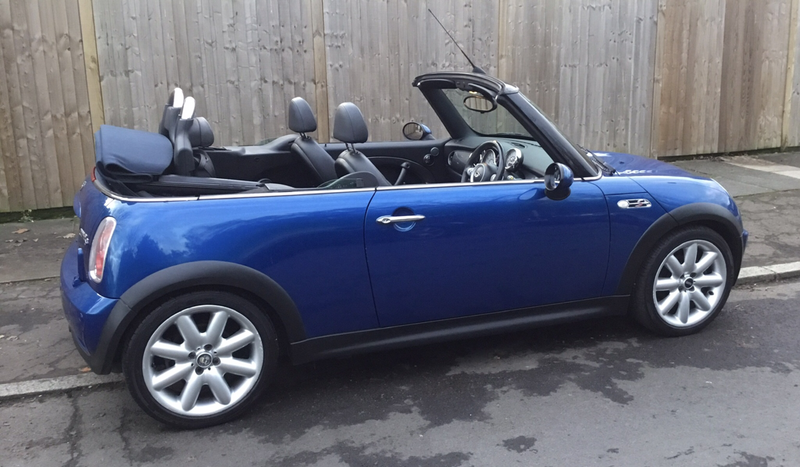 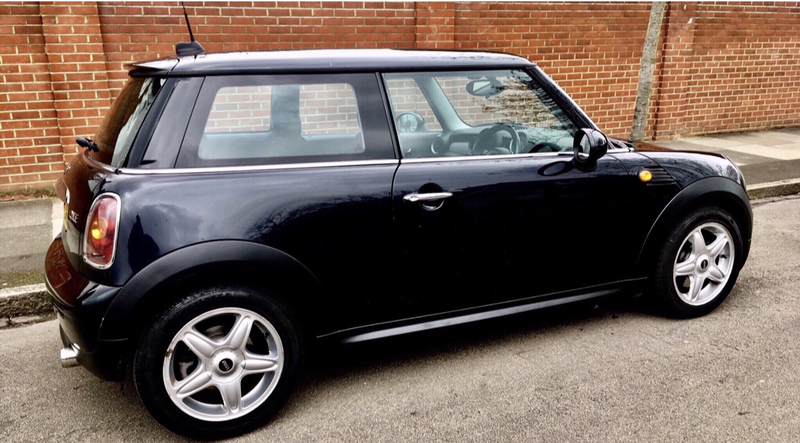 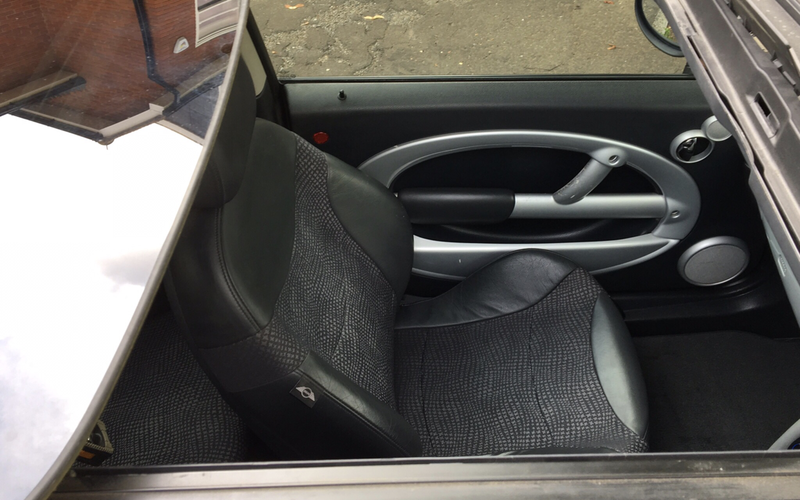 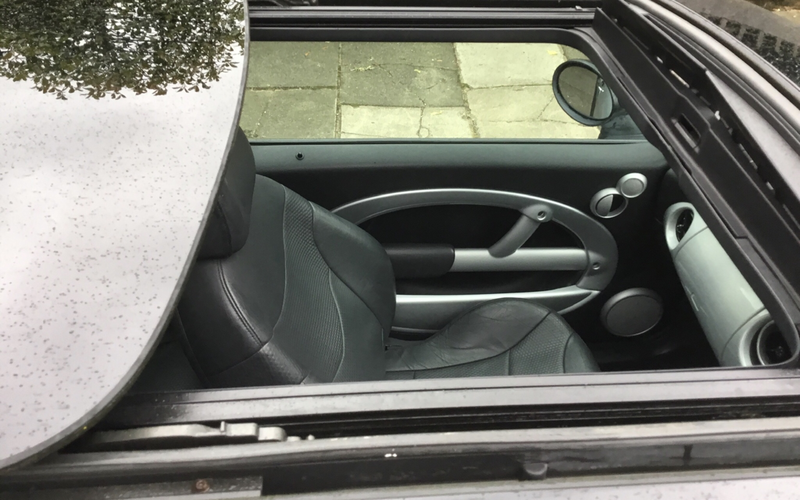 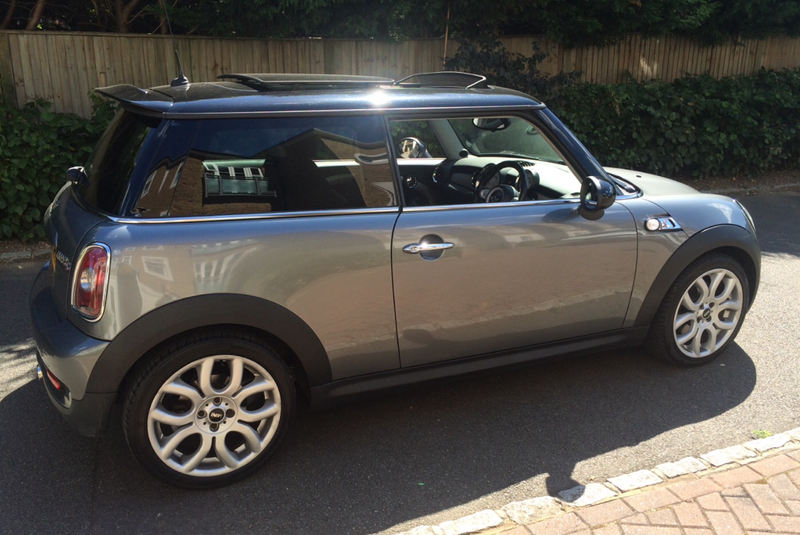 Electric and Heated Door Mirrors,Anti Locking Brakes,Rear Head Restraints, Central Locking Linked To The Mini Alarm and Immobiliser System With Full Window Closing and Sunroof Closing,Outside Temperature Gauge,Run Flat Tyre Indicator. 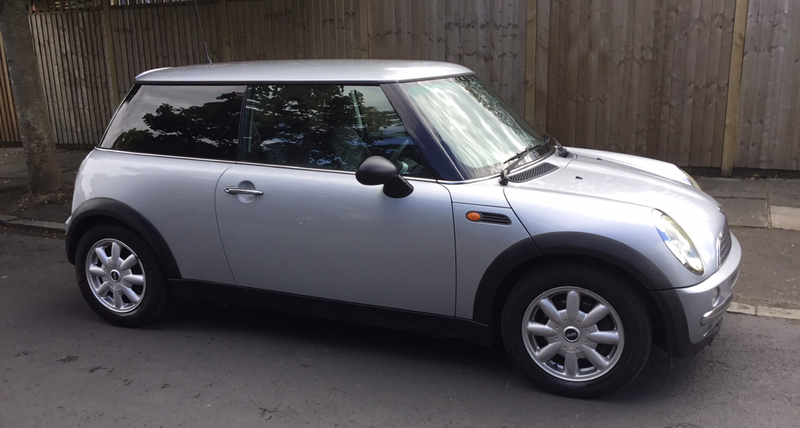 Service History:We Have The Last Fourteen Years Mot/Maintenance Records to Confirm The Mileage.Two Former Owners. 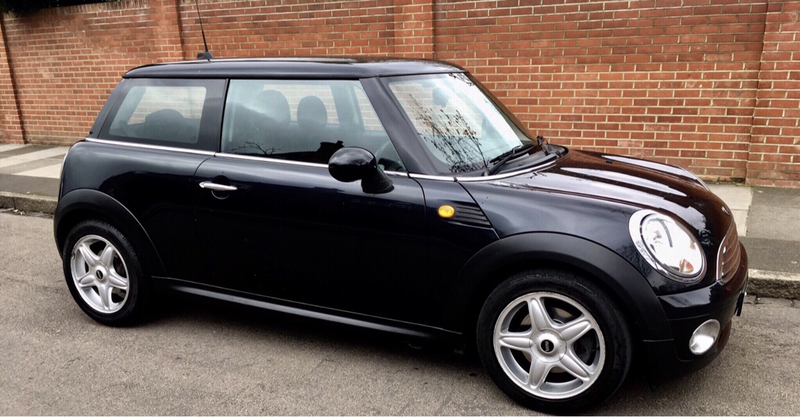 Electric Windows,Central ,Air Bags,Power Steering,Electric and Heated Door Mirrors,Anti Locking Brakes,Rear Head Restraints, Remote Central Locking Central Locking Linked To The Mini Alarm and Immobiliser,Leather Trim Steering Wheel,Outside Temperature Gauge,Run Flat Tyre Indicator. 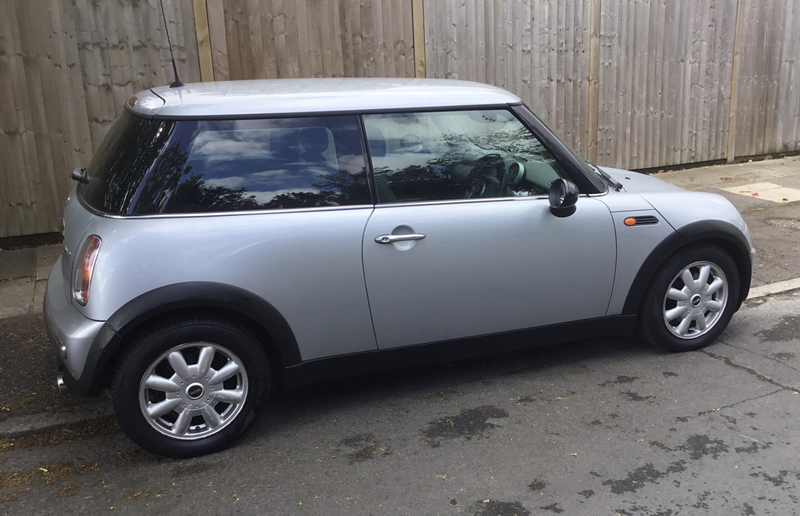 Service History: We Have The Last Fourteen Years Mot/Maintenance Records and Detailed Service Receipts to Confirm The Mileage. 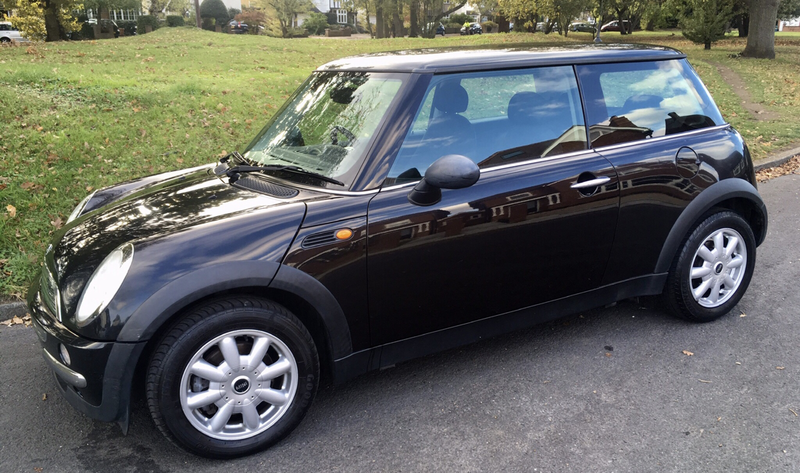 Specification:Automatic Transmission,Special Mini Cooper Alloy Wheels,Mini Stereo System,Electric Windows,Air Bags,Power Steering,Air Conditioning . 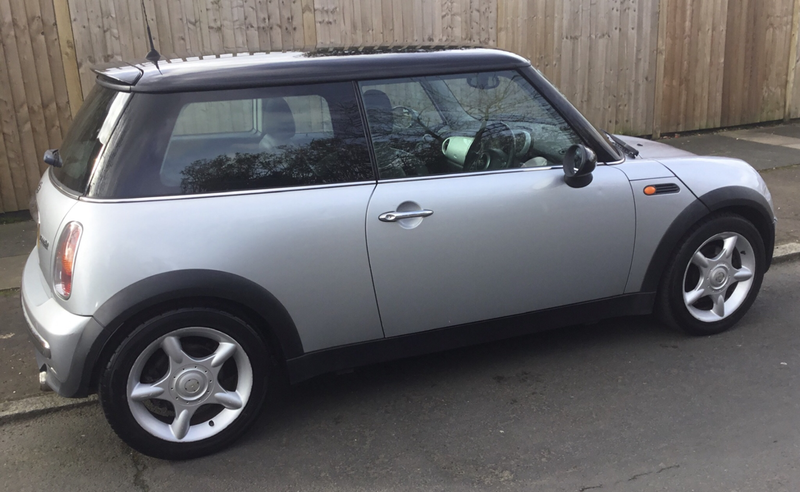 Electric and Heated Door Mirrors,Anti Locking Brakes,Rear Head Restraints, Central Locking Linked To The Mini Alarm and Immobiliser System With Full Window and Sunroof Closing,Outside Temperature Gauge,Run Flat Tyre Indicator. 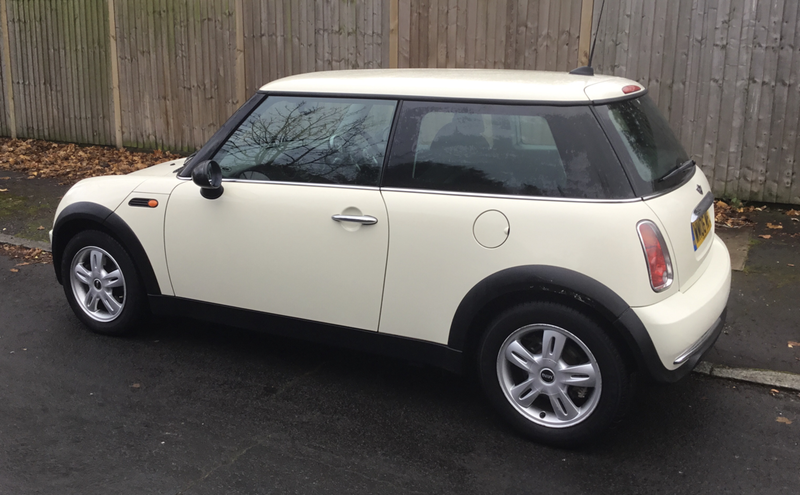 Service History: We Have The Last Fourteen Years Mot/Maintenance Records to Confirm The Mileage. 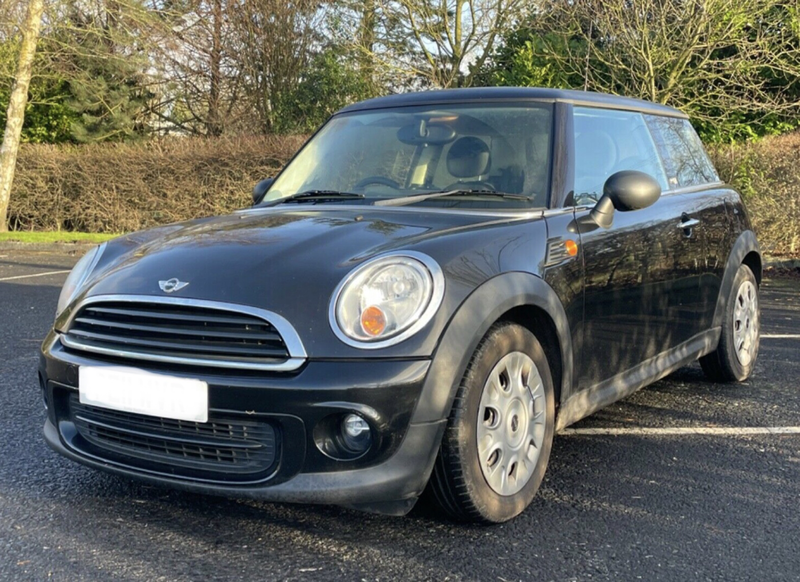 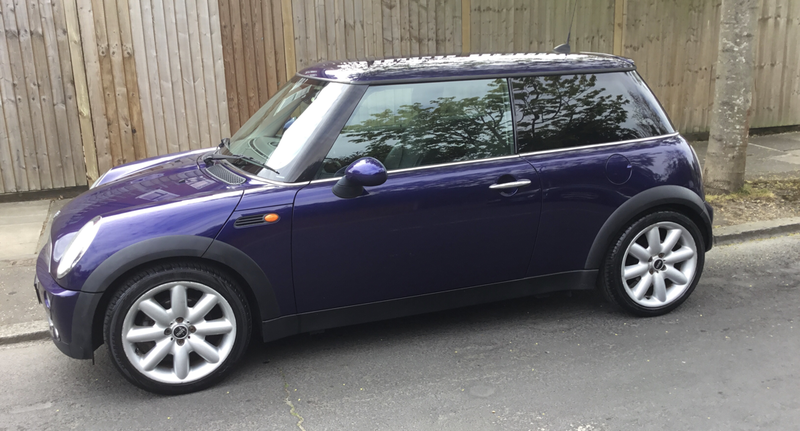 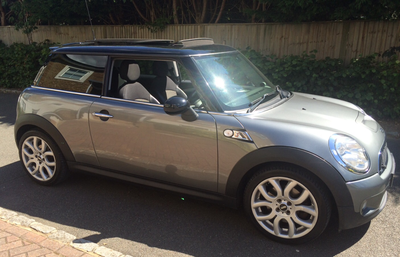 Specification:Automatic Transmission,Two Stage Power Roof,Full Leather Trim,Heated Leather Seats, Mini Cooper Alloy Wheels.Mini CD Stereo Sound System,Digital Information Centre,Rear Parking Sensors,Headlamp Washers,Electric Windows,Central ,Air Bags,Power Steering,Electric and Heated Door Mirrors,Anti Locking Brakes,Rear Head Restraints,Remote Central Locking Linked To The Mini Alarm and Immobiliser ,Leather Trim Steering Wheel,Outside Temperature Gauge,Run Flat Tyre Indicator. 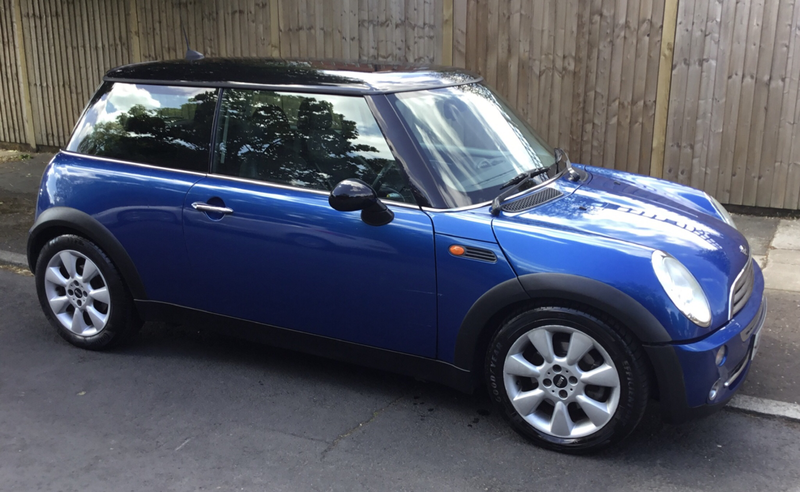 Service History: We Have The Last Twelve Years Mot/Maintenance Records to Confirm The Very Low Mileage. 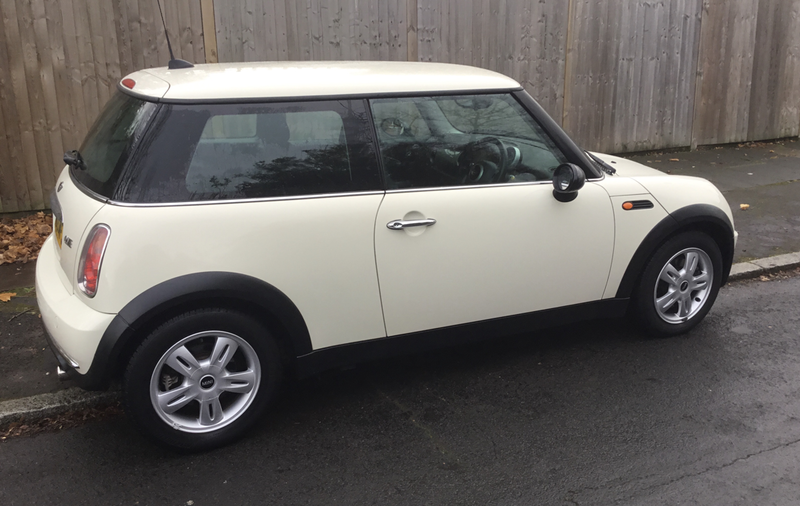 Specification:Manual Six Speed Transmission,Panoramic Twin Glass Electric Roof,Special White Mini Cooper S Alloy Wheels,Air Conditioning. 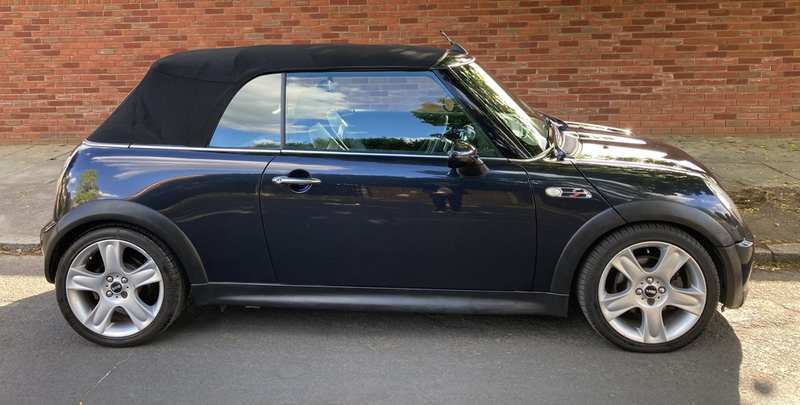 Service History: We Have a Large Folder of Detailed Service Receipts ad The Last Fourteen Years Mot/Maintenance Records to Confirm The Mileage. 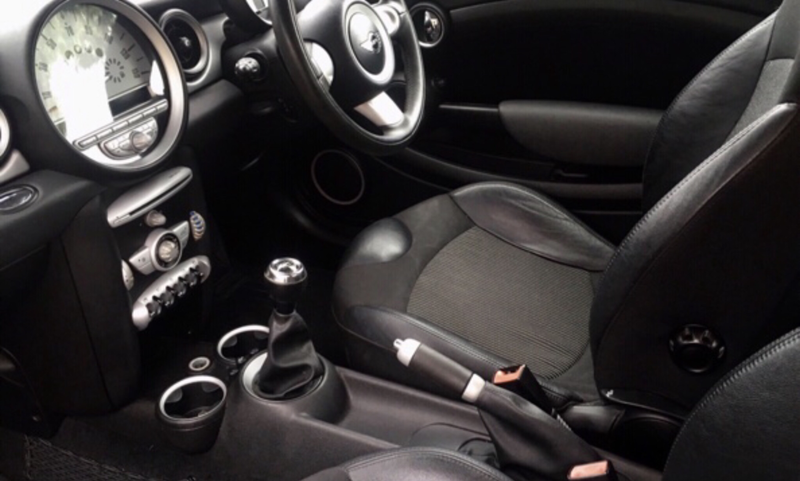 Specification:Automatic Transmission,Special Mini Cooper Alloy Wheels,Mini Stereo System,Mini Stereo Sound System. 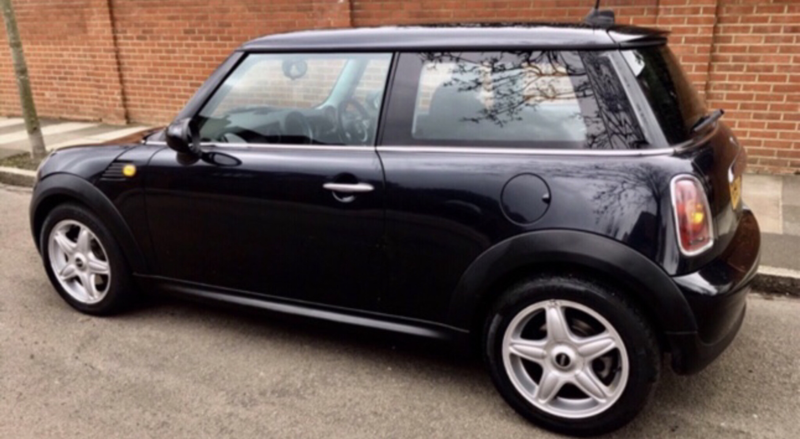 Electric Windows,Digital Air Conditioning Air Bags,Power Steering,Electric and Heated Door Mirrors,Anti Locking Brakes,Rear Head Restraints, Central Locking Linked To The Mini Alarm and Immobiliser System With Full Window Closing,Outside Temperature Gauge,Run Flat Tyre Indicator.Tinted Rear Windows. 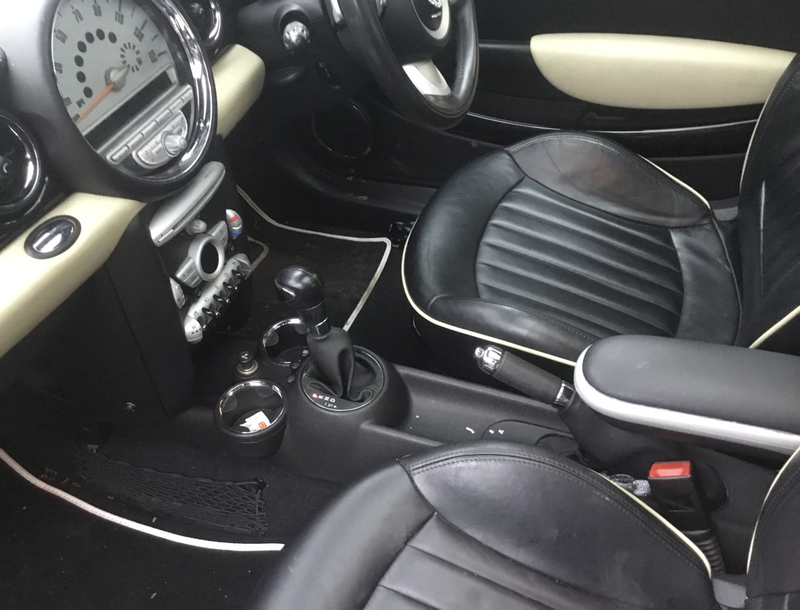 Specification:Five Speed Manual Transmission.Panoramic Glass Roof,Special Mini Cooper Alloy Wheels,Mini Stereo System,Full Leather Trim. 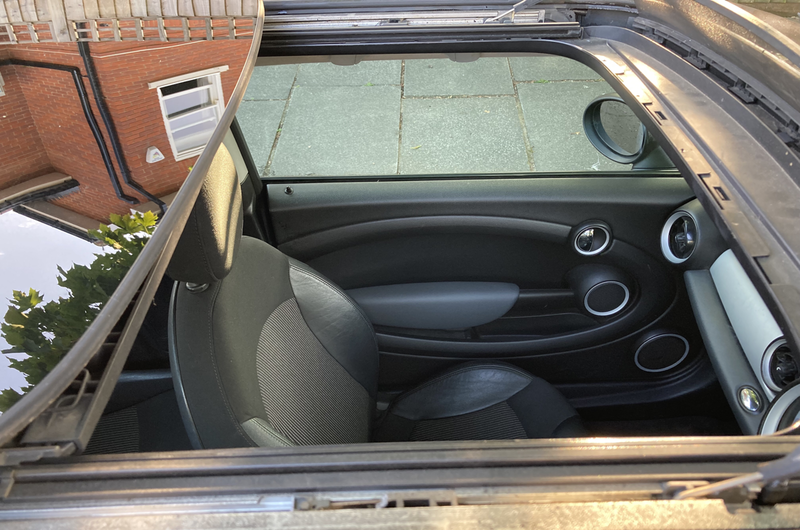 Electric Windows,Air Conditioning Air Bags,Power Steering,Electric and Heated Door Mirrors,Anti Locking Brakes,Rear Head Restraints, Central Locking Linked To The Mini Alarm and Immobiliser System With Full Window Closing,Outside Temperature Gauge,Run Flat Tyre Indicator.Tinted Rear Windows. 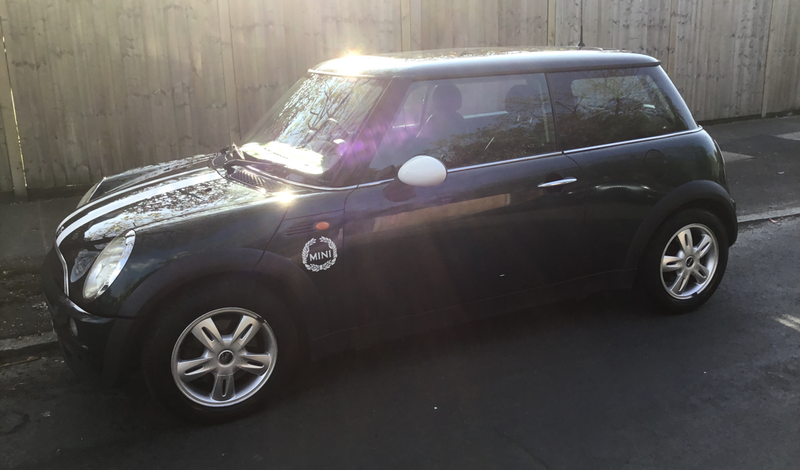 Service History:Stamped Mini Service Book. 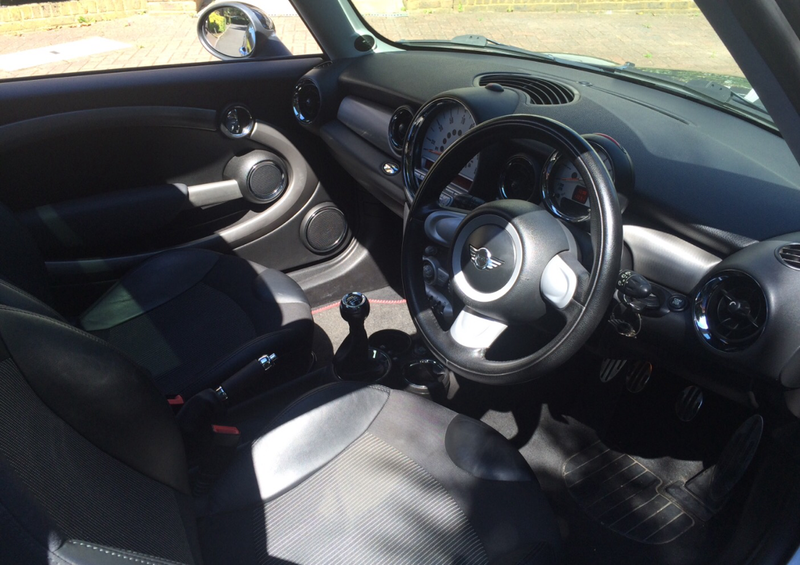 We Have The Last Fourteen Years Mot/Maintenance Records to Confirm The Mileage. Specification:Manual Five Speed Transmission,Digital Air Conditioning,Special Mini Cooper S Alloy Wheels. 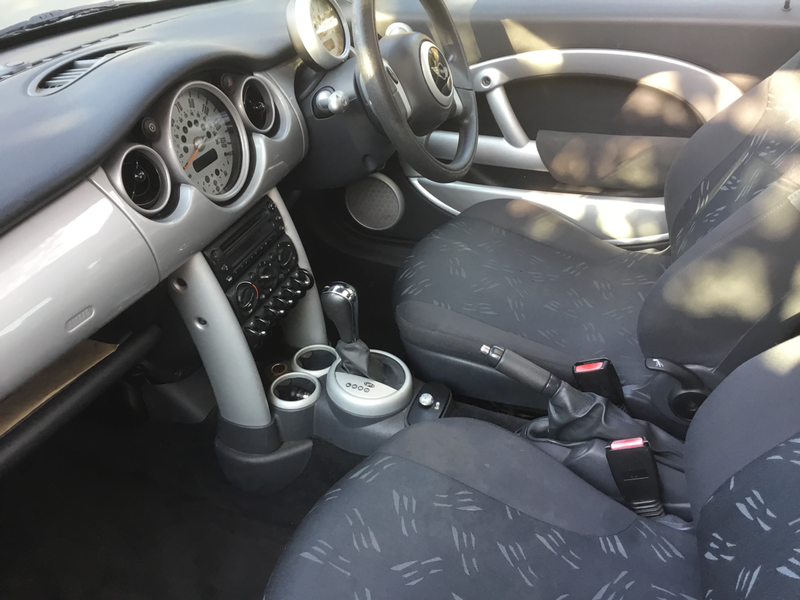 Mini CD Stereo Sound System. 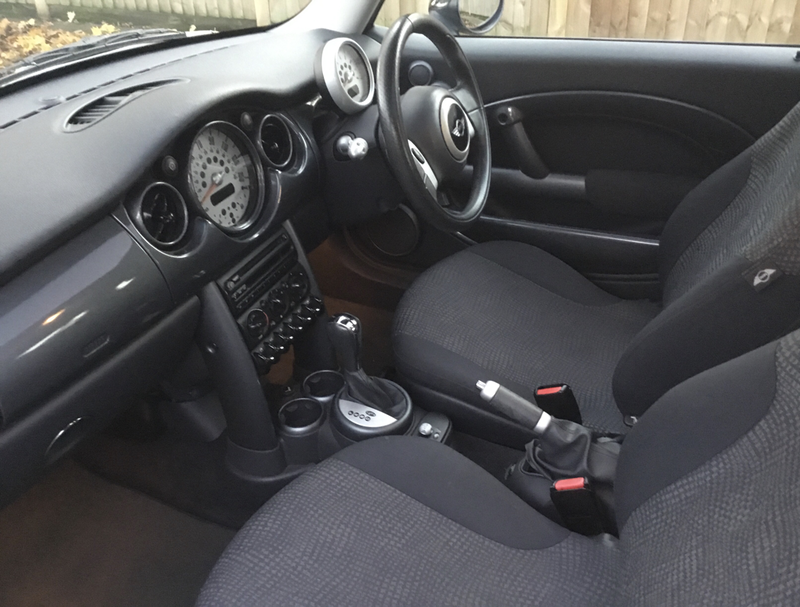 Electric Windows,Central ,Air Bags,Power Steering,Electric and Heated Door Mirrors,Anti Locking Brakes,Rear Head Restraints, Remote Central Locking Central Locking Linked To The Mini Alarm and Immobiliser,Leather Trim Steering Wheel,Outside Temperature Gauge,Run Flat Tyre Indicator.Tinted Windows. 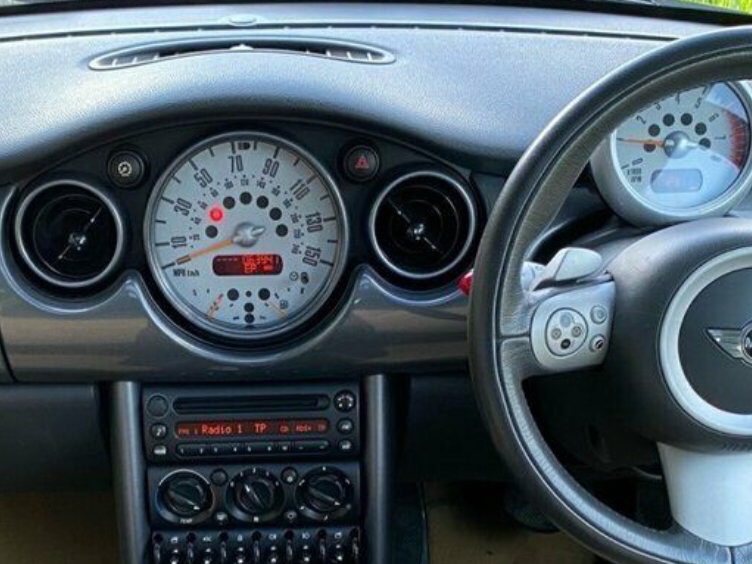 Service History: We Have The Last Fourteen Years Mot/Maintenance Records and Service Receipts to Confirm The Mileage. 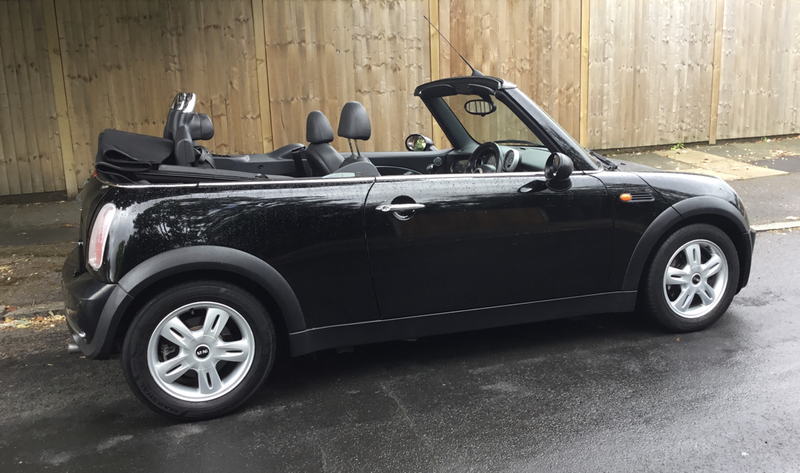 Electric Windows,Digital Air Conditioning Air Bags,Power Steering,Electric and Heated Door Mirrors,Anti Locking Brakes,Rear Head Restraints,,Outside Temperature Gauge,Run Flat Tyre Indicator. 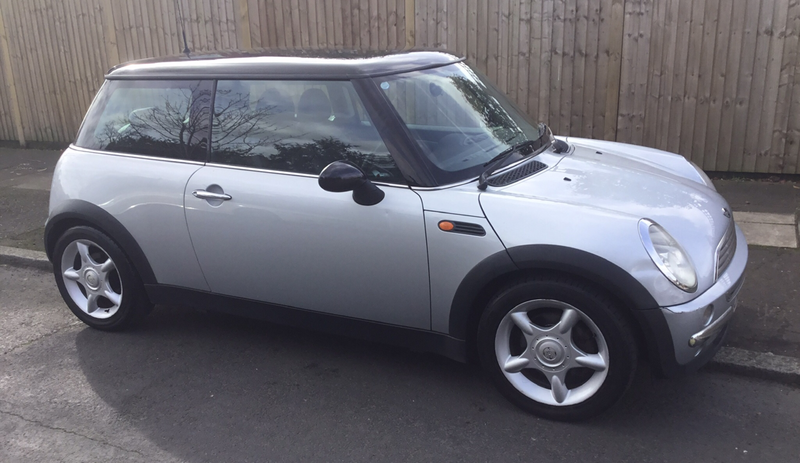 Service History: Stamped Mini Service Book and We Have The Last Fourteen Years Mot/Maintenance Records to Confirm The Low Mileage. 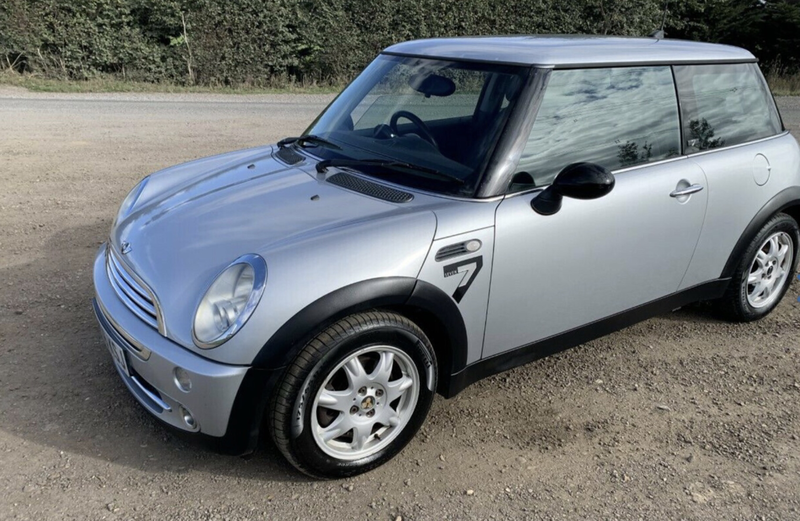 Specification:Manual Transmission,Air Conditioning,Special Mini Cooper Alloy Wheels.Mini CD Stereo Sound System,Digital Information Centre.Push Button/Start Stop.Multi Function Controls.We Have Two Sets Of Keys. 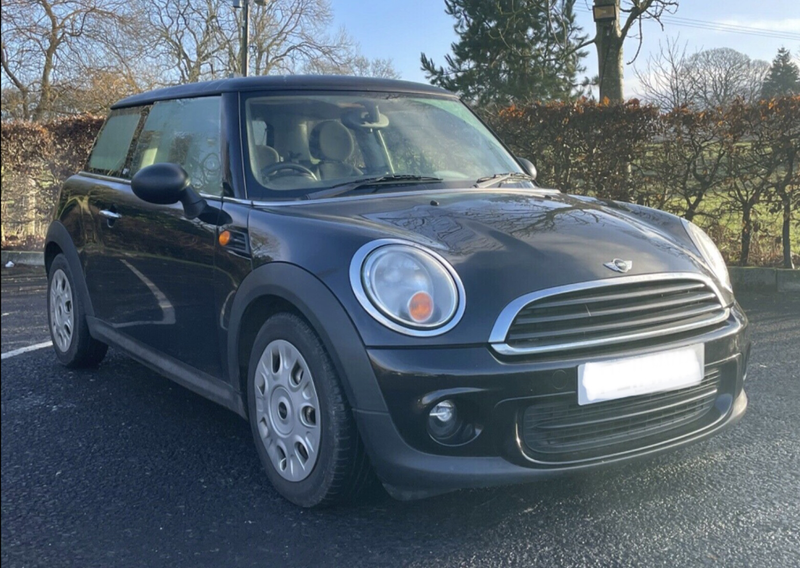 Electric Windows,Central ,Air Bags,Power Steering,Electric and Heated Door Mirrors,Anti Locking Brakes,Rear Head Restraints, Remote Central Locking Central Locking Linked To The Mini Alarm and Immobiliser ,Leather Trim Steering Wheel,Outside Temperature Gauge,Run Flat Tyre Indicator. 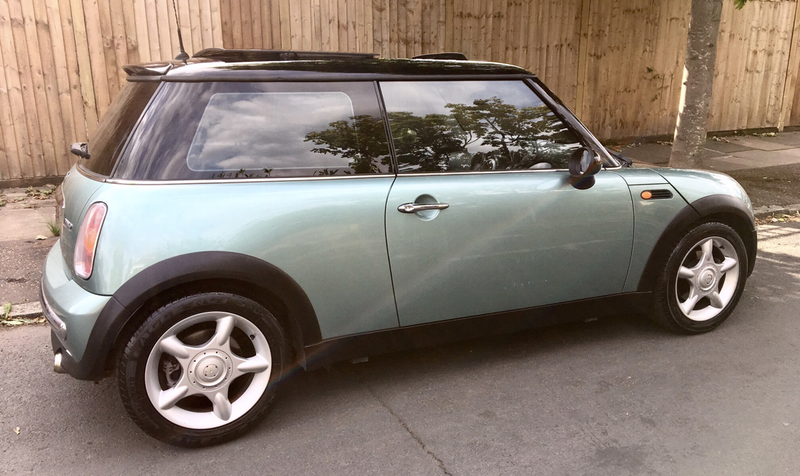 Service History:Stamped Mini Service Book, We Have The Last Tweleve Years Mot/Maintenance Records to Confirm The Mileage.Recent Full Service. 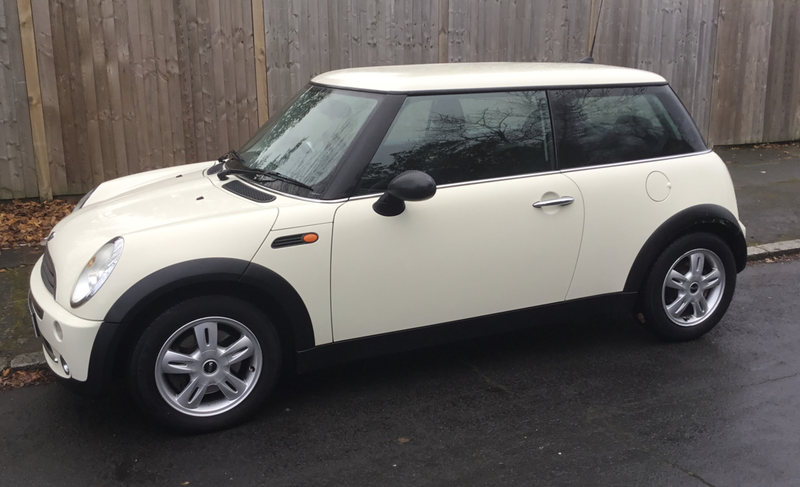 Electric Windows,Central ,Air Bags,Power Steering,Electric and Heated Door Mirrors,Anti Locking Brakes,Rear Head Restraints, Remote Central Locking Central Locking Linked To The Mini Alarm and Immobiliser System With Full Window and Sunroof Closing,Leather Trim Steering Wheel,Outside Temperature Gauge,Run Flat Tyre Indicator. 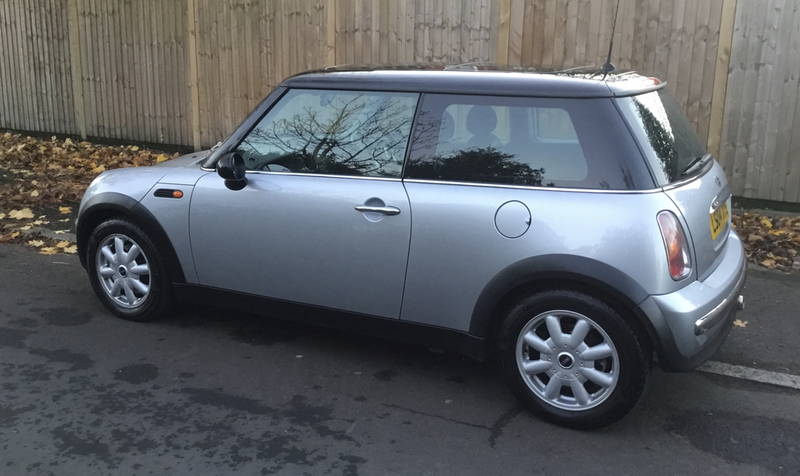 Service History: Stamped Mini Service Book,We Have The Last Fourteen Years Mot/Maintenance Records to Confirm The Mileage. 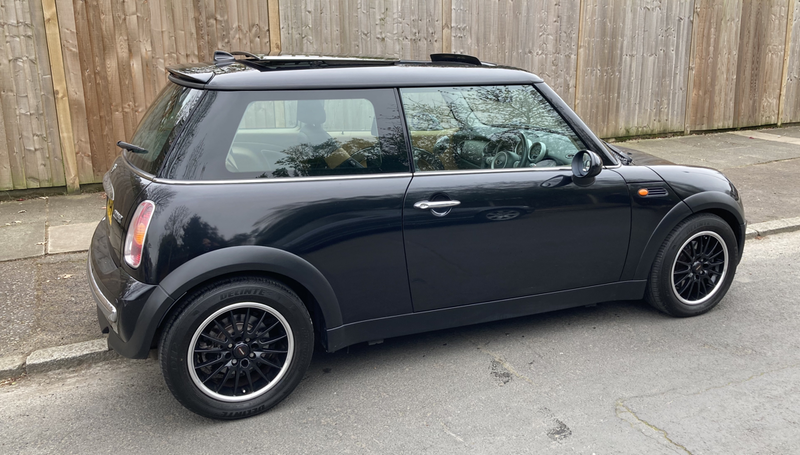 Specification:Automatic Transmission With Paddle Shift Gearbox Options,Satellite Navigation,Hands Free Phone System,Special Mini Cooper Alloy Wheels,Push Button Start.Interior Mood Lighting.Push Button Start/Stop. 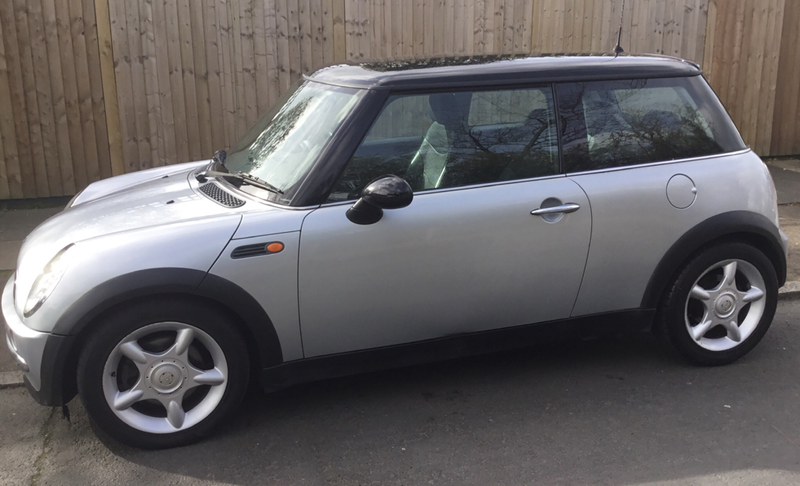 ​Mini Stereo CD System,Electric Windows,Central Locking,Air Bags,Power Steering,Electric and Heated Door Mirrors,Anti Locking Brakes,Digital Information Centre,Rear Head Restraints,Remote Central Locking Linked To The Mini Alarm and Immobiliser System With Full Window and Outside Temperature Gauge,Run Flat Tyre Indicator. 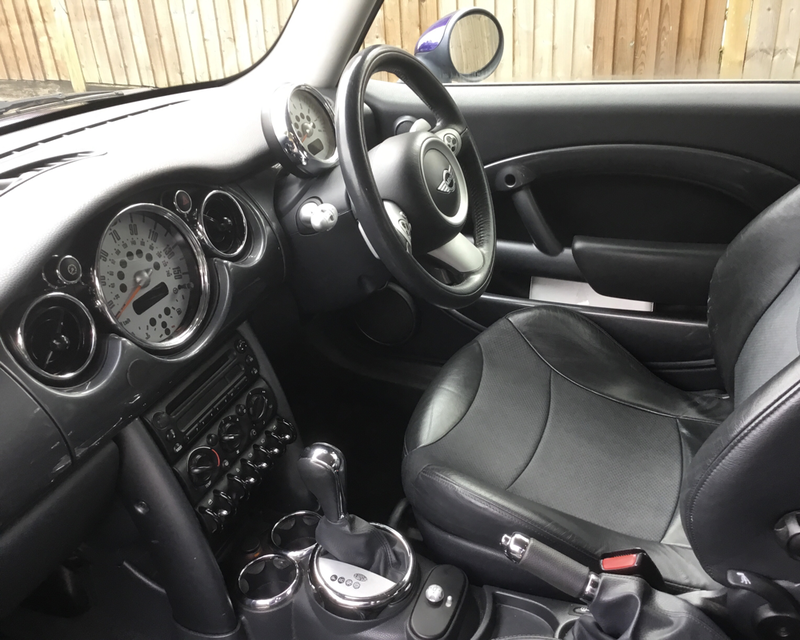 Electric Windows,Central Locking,Air Bags,Power Steering,Electric and Heated Door Mirrors,Anti Locking Brakes,Rear Head Restraints, Remote Central Locking Central Locking Linked To The Mini Alarm and Immobiliser System With Full Window Closing,Outside Temperature Gauge,Run Flat Tyre Indicator. 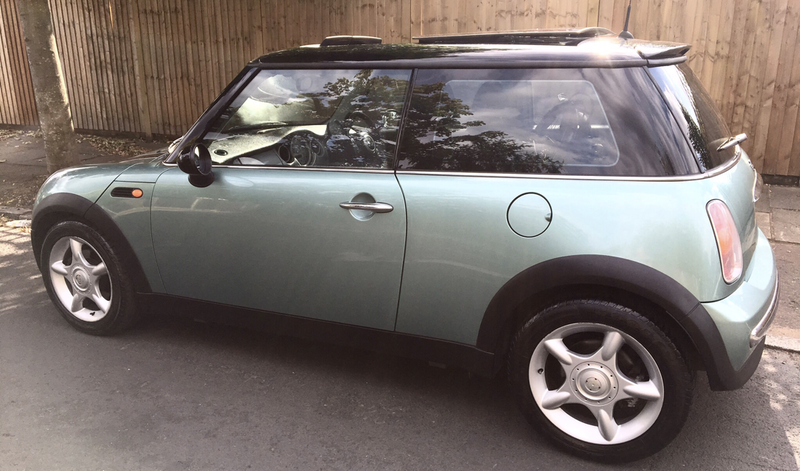 Service History: We Have a Stamped Mini Service Book and Detailed Service Receipts. 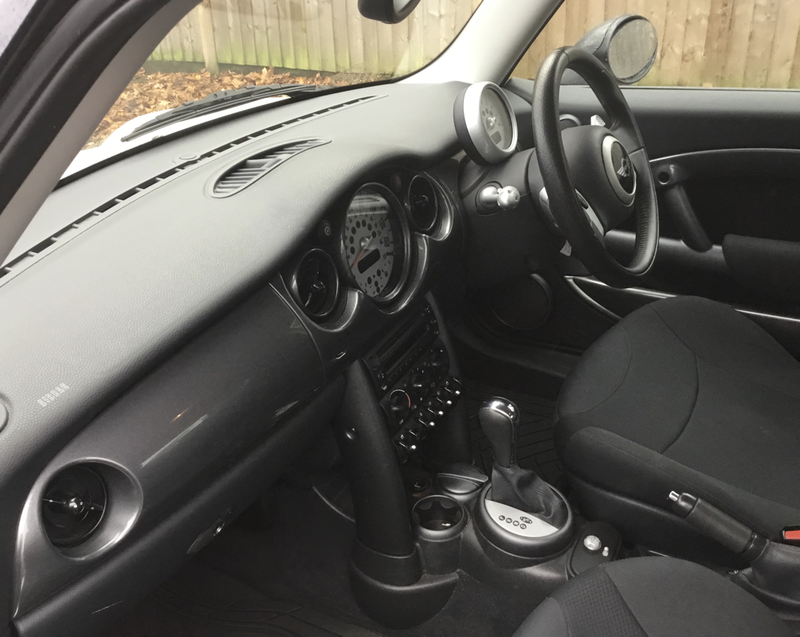 Electric Windows,Central ,Air Bags,Power Steering,Electric and Heated Door Mirrors,Anti Locking Brakes,Rear Head Restraints, Remote Central Locking Central Locking Linked To The Mini Alarm and Immobiliser System With Full Window Closing,Leather Trim Steering Wheel,Outside Temperature Gauge,Run Flat Tyre Indicator. 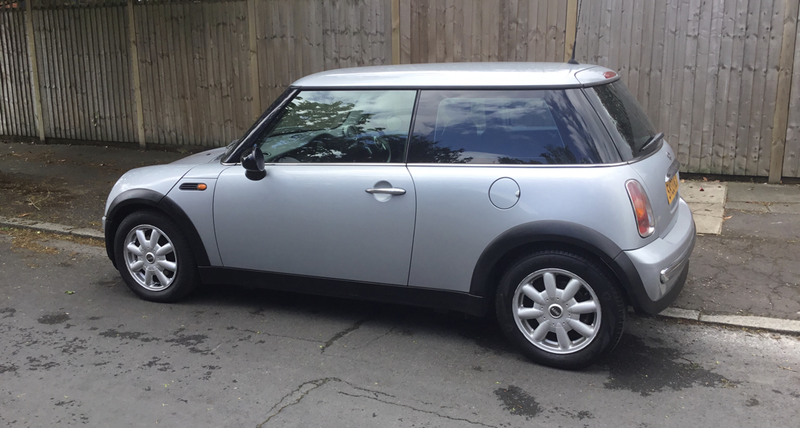 Service History:Stamped Mini Service Book and We Have The Last Twelve Years Mot/Maintenance Records and Detailed Service Receipts to Confirm The Mileage. 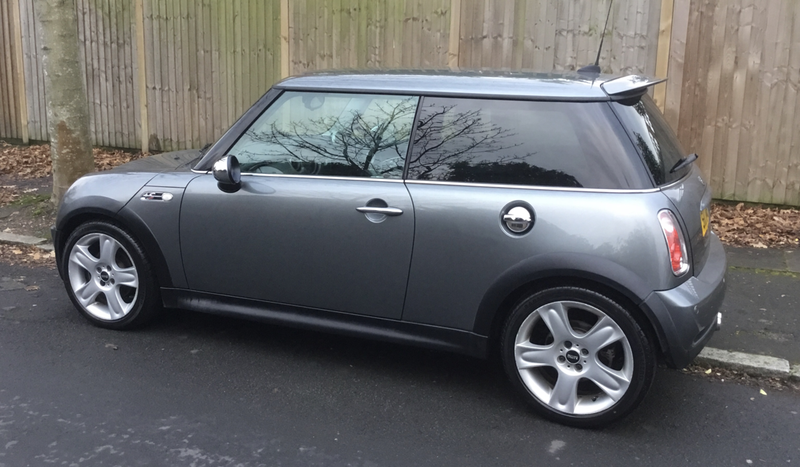 ​Special Mini Cooper S Alloy,Leather Trim,Alpine CD Stereo System With Blue Tooth & Aux Connection Air Conditioning,Headlamp Washers,Digital Information Centre,Electric Windows,Central Locking,Air Bags,Power SteeringElectric and Heated Door Mirrors,Anti Locking Brakes,Rear Head Restraints,Remote Central Locking Linked To The Mini Alarm and Immobiliser System With Full Window Closing,Outside Temperature Gauge,Run Flat Tyre Indicator,We Have all The Original Mini Handbooks,Two Sets of Keys. 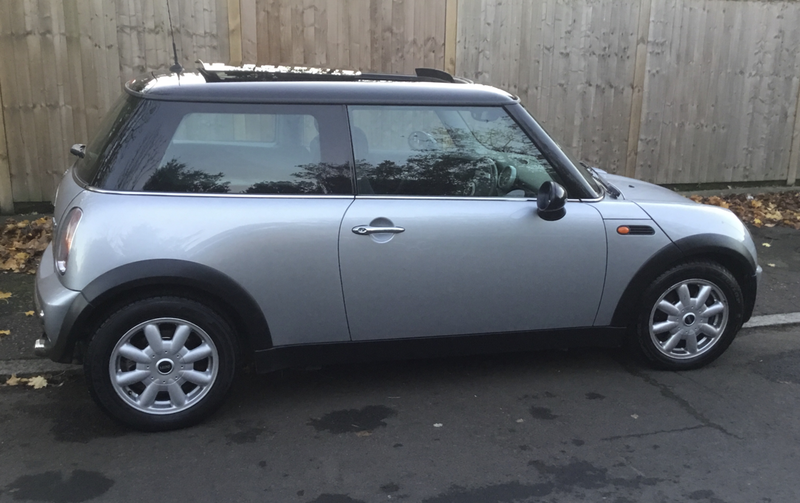 Service History:Stamped Mini Service Book,Last Eight Years Mot/Maintance Records. 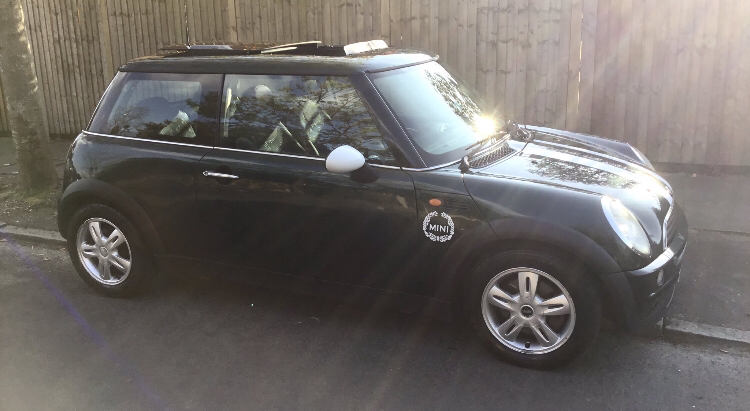 Specification: Panoramic Glass Twin Electric Sunroof ,Air Conditioning, Leather Trim,Heated Front Screen,Automatic Lights,Rain Sensors,Push Button Start.Special Cooper Alloy Wheels,Front Driving Lights,Electric Windows,Central Locking,Air Bags,Anti Locking Brakes,Rear Head Restraints,Digital Information Centre,Outside Temperature Gauge,Run Flat Tyre Indicator,Central Locking Linked To The Mini Alarm and Immobiliser System With Full Window Closing,Electric and Heated Door Mirrors,Recent Full Service.